It has been a while since I have posted. But I'm back for now. 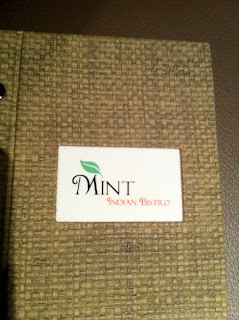 I have been meaning to blog about this awesome, hole-in-the-wall Indian restaurant I found off the strip in Vegas last December. 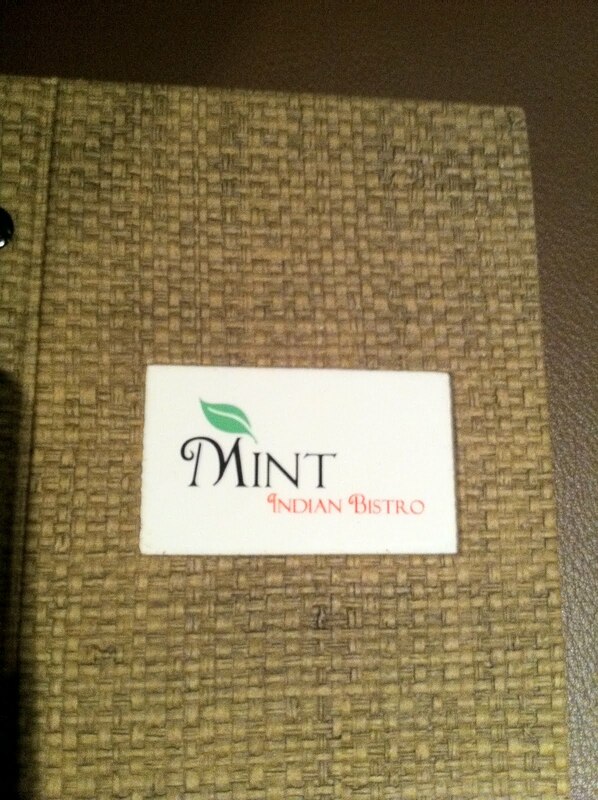 They offer Nepalese and Tibetan food in addition to Indian, and have plenty of vegan, vegetarian, and even Jain options. 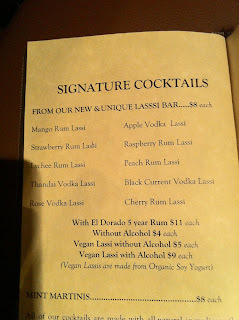 Their menu identifies vegan and vegetarian items, and I was especially impressed with their lassi bar with soy lassis! There was so much selection on their menu, and the food was really good. I had the chili paneer, which was even better than the one I had in London last May (I could have just not gone to the right place in London though). The people in the booth next to us had already come the night before. If you get a chance to check it out, let me know what you think. This is place seems great. I'm going to go there this weekend in Vegas. Its always hard to find good vegan food. Thanks!